Seven Food Facts That’ll Make You Proud To Be Canadian! Our home and native land has so much to celebrate; beautiful landscapes, diversity, politeness, universal healthcare and poutine are just a few of the things we have to commemorate this Canada D’ eh! For this round up, our tastebud teasing friends over at Butter PR have put together a list of seven Canadian food-facts to get you feeling true north strong and hungry-free! 1. Toronto is the most diverse city in the world! Over half of Toronto’s population is made up of residents born outside of Canada. The city boasts 230 diverse ethnic groups, speaking more than 140 languages! Experience the beauty of diversity with Miku Toronto. When Seigo Nakamura, the mastermind behind Miku, took over his father’s struggling sushi restaurant in Japan, he vowed to learn as much as he could about the restaurant industry. 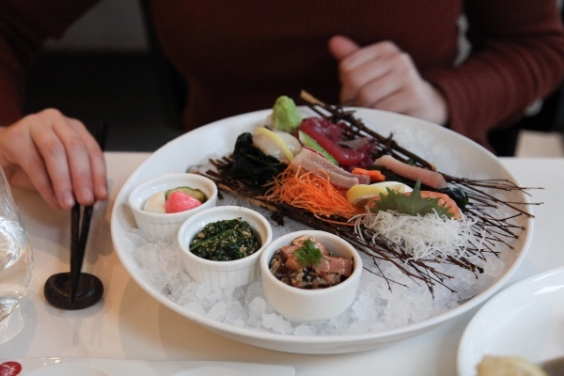 Now with eight successful restaurants, Miku has operated in the Canadian market for over 10 years. Miku is known for their expertise in Aburi Sushi, which translates to “flame-seared”; a flame is applied onto a piece of Japanese bamboo charcoal over the seafood to create a new texture and enhance the sushi’s natural flavour. 2. When the Montreal Smoked Meat sandwich was first introduced 100 years ago it only cost 5 cents! The Montreal smoked meat sandwich features corned beef and pastrami, smothered in mustard often served on artisan bread. Smoky and savoury, it’s no surprise this smokey and savoury delicacy has been popular since 1908! 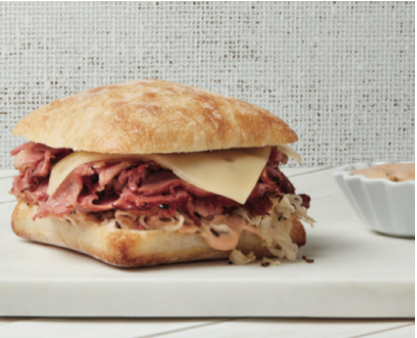 Curb your hunger this and make a classic Montreal Smoked Meat Sandwich. Quebec-based bakery Boulart has created their own version and put together a step-by-step recipe to make sure you enjoy every bite! 3. Winnipeg is one of the top-five coldest cities in the world. Often referred to as “Winterpeg”, temperatures routinely dip below -21 C in the winter months. The two coldest nights, the city has experienced, felt like -45 C on February 18, 1966, and -47.8 C on December 24, 1879. If the cold never bothered you anyway, venture to The Forks, Winnipeg’s number one tourist destination. Located in the heart of Winnipeg, where the Red River and the Assiniboine River meet, The Forks has been a historic meeting place for Indigenous groups for over 6,000 years. 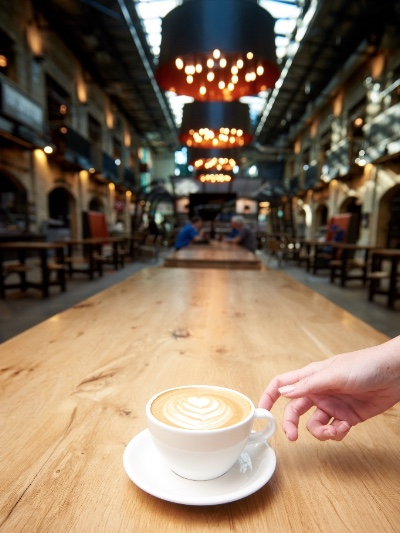 Today, The Forks still holds a rich cultural history as Winnipeg’s most diverse culinary destination, offering a range of eclectic dining choices for any palate or pocketbook. With stellar waterfront views and some of the city’s most exciting culinary attractions, The Forks is the perfect (and patriotic!) destination to visit this summer! 4. Canadians purchase more ice cream in winter than summer! Canadian’s often have mixed feelings towards Mother Nature when winter arrives each year. While there are beautiful snowy moments, we know how long and dark the winter can feel. That’s why we love to soak up the sun, and enjoy everything summer has to offer, including ice cream. What’s surprising is that Canadians actually purchase more ice cream during the winter months! 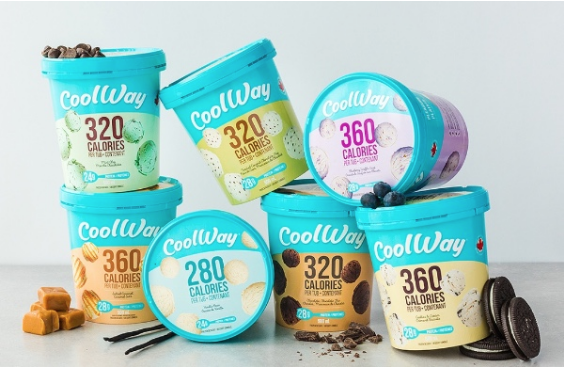 Lucky for us, Montreal-based, CoolWay ice cream allows you to enjoy your favourite flavours year round without the guilt! With each tub containing 28g of protein and ranging from 280 to 360 calories, you can indulge all year long! 5. Canada is home to 42 national parks, 167 national historic sites, and four marine conservation areas. With so much natural beauty around us, it’s no wonder Canadians are camping and cottaging all summer (and winter) long. Whether you’re into backcountry portaging or lounging on the dock, it’s undeniable that food is often the centre of a memorable outdoor experience. 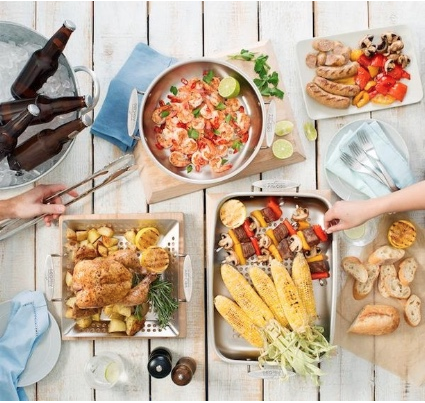 Make outdoor grilling and barbecuing a breeze with All-Clad Canada’s new outdoor cookware. Use the time you save to savour our country’s beautiful landscape! 6. Canada produces 71% of the world’s maple syrup with 91% produced in Quebec. To put this into perspective, in 2017 Canada produced over 12.5 million gallons of maple syrup. That’s enough to fill 19 Olympic swimming pools! Not only is maple syrup one of the country’s main resources, it’s a national treasure. Canadians celebrate their love for maple in many ways. Toronto’s NADÈGE includes maple syrup in a number of their delectable desserts including one of their most popular items, the Marie Antoinette Cake. Featuring fresh vanilla panna cotta and a light maple syrup mousse topped with classic macaron biscuits, it’s no surprise the beloved cake is now one of NADÈGE’s 16 new ice cream flavours. 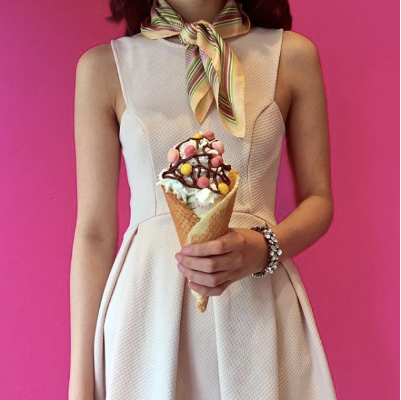 The new NADÈGE ice cream shop is located at the patisserie’s flagship location at 780 Queen St. West beside Trinity Bellwoods Park. Discover what your favourite flavour is! 7. Though poutine was invented in the 1950s, the word wasn’t added to the Merriam-Webster dictionary until 2014. Although Anglophones often pronounce it “pou-teen”, the proper Québécois pronunciation is “pou-tin”, with less emphasis on the final syllable. 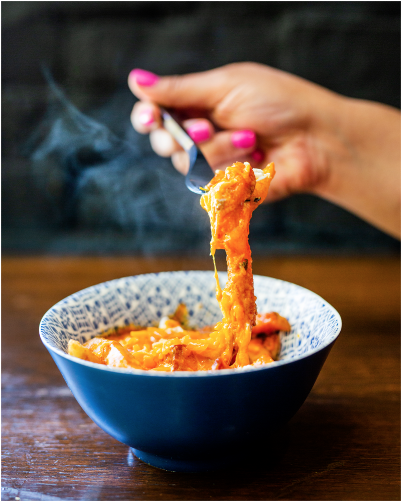 For a twist on the classic dish, indulge in the Butter Chicken Poutine at My Roti Place. Made with crispy fries, flavourful butter chicken and ooey gooey cheese, it’s a delicious way to spice up your summer festivities. Located at 406 Queen St. W, My Roti Place features a variety of dishes with simple and fresh ingredients and the quintessential spice palette of traditional Indian curries and sauces. Mingle All The Way Holiday Hosting Guide! Tips and Tricks: Working From Home! Sheblogs Canada is a women's website focused on all things lifestyle, fashion, food, travel and relationships. We aim to inspire women and connect them to the brands and trends they'll love.